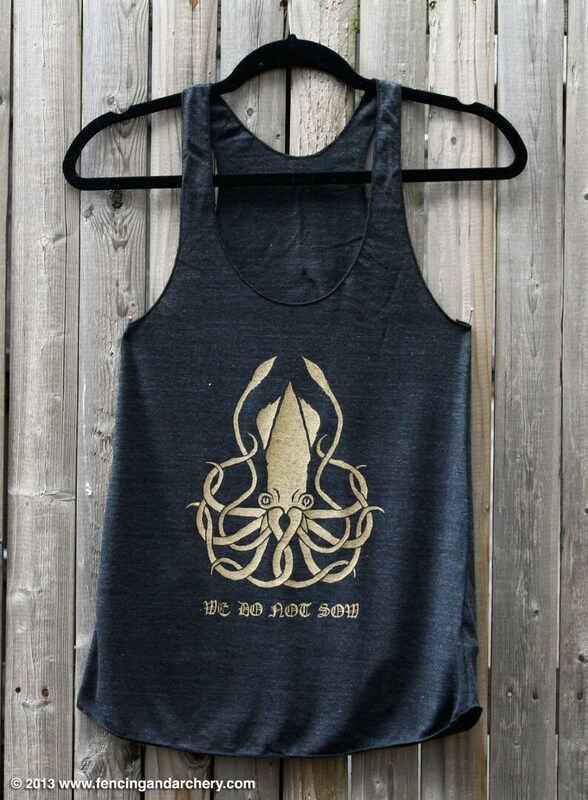 The words + sigil of house Greyjoy of Pyke on the Iron Islands. • Tank is hand printed on heather black with gold ink. • Chest measurements (inches): XS 28-30" S 30-32" M 32-34" L 36-38"